A wooden grain elevator at the railway siding of Cranmer, on the CPR Lyleton Subdivision in what is now the Municipality of Brenda-Waskada, was built to replace an earlier one that collapsed suddenly on 29 September 1928. (It was deserted by its rats a few hours before the disaster.) The new elevator opened for business in 1929 and was expanded with a crib annex in 1953. 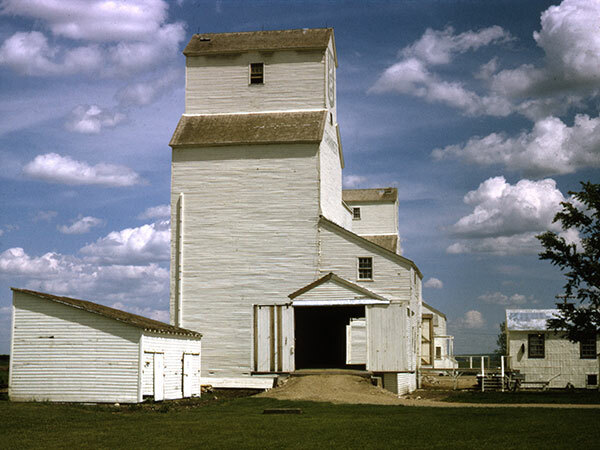 A second elevator at Cranmer was built in 1927 by the Matheson-Lindsay Elevator Company and owned successively by the Province Elevator Company (1928) and Reliance Grain (1939) before being purchased by UGG in 1948. Both closed in December 1975 and were demolished. “Elevator at Cranmer, Man. is deserted by rats few hours before it crashes,” Manitoba Free Press, 1 October 1928, page 1.